From VoiP to data, intercom to T1 connections, the heart of every business is the ability to communicate. Whether it’s a conversation over the phone or transmitting loads of electronic files over the internet, your business depends on the flow of information. Cabling is the lifeline that brings it in and sends it out. Autech offers voice and data network cabling, fiber optics, and data center and switch room designing and building…all done to your exacting specifications and built to meet all your information transmission demands. Our certified technicians use best-in-class copper and fiber technology to provide the fast and fluid delivery of information and communication 24/7. It starts with quality cable. No matter how well thought the design may be or talented the technician, inferior products result in inferior results. 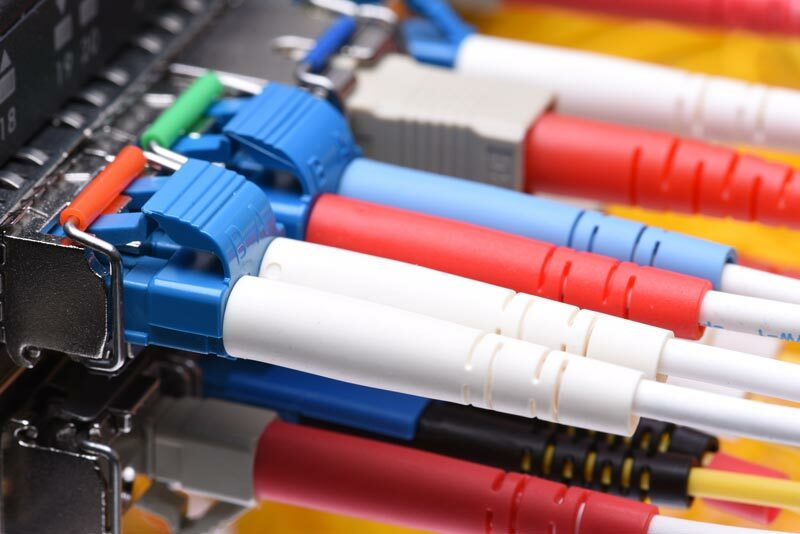 Autech uses only the highest quality cabling, fiber optics and connectors manufactured by respected manufactures such as Corning. When Autech tackles any cabling infrastructure, our major concerns are reliability, manageability, scalability and flexibility. Our technicians look for ways to ensure future flexibility in the moving, adding and changing of the infrastructure as your network grows. Our goal is to ensure that the cable infrastructure will be operational and easily expandable for many years to come. Corning is a company that provides the cabling, fiber optics, enclosures, racks and other ancillary products that allow Autech to design and install a data center and/or switch room that meets your immediate needs while ensuring that any future additions or changes can be performed quickly and easily. When Autech completes the installation, your critical applications are always able to deliver the information and services that keep your business running.